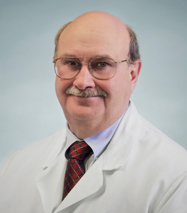 Dr. Charlie Becknell is a graduate of the University of Kentucky College of Medicine. He completed a residency in Internal Medicine at the University of South Florida, and a residency in Dermatology at the University of Kansas. Dr. Becknell is certified by both the American Board of Internal Medicine and the American Board of Dermatology. He started his medical profession in private practice in internal medicine before doing his residency in dermatology. Dr. Becknell practiced in Winter Haven, Florida for over six years before joining DAK in 1997. He currently serves on the DAK Board of Directors, and his areas of expertise include general dermatology and cutaneous surgery. Dr. Becknell is a Kentucky native and enjoys trapshooting, hunting and fishing.